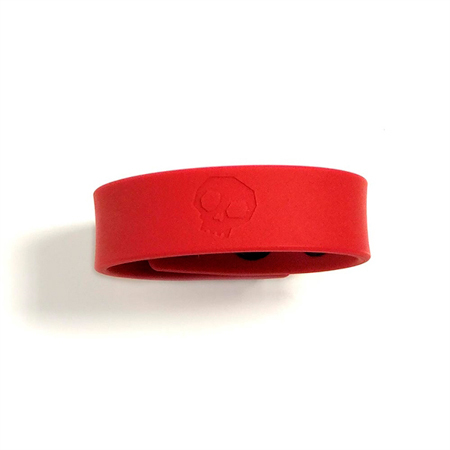 The powerful and iconic Boneyard-branded design has a sleek soft touch silicone finish and features a superior and durable stretch. 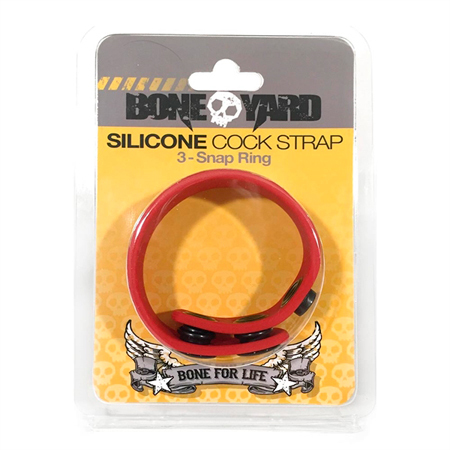 The medical grade 100% silicone snap rings come with 3 snaps on one end and 2 on the other giving the wearer 4 sizing options to find the correct size. 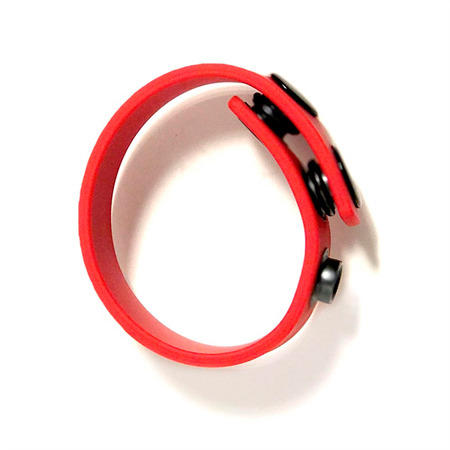 Traditionally snap rings are made of uncomfortable hard stitched leather or rubber and until now have never been attempted to be crafted from soft touch silicone. Unique to themselves, these rings synergize with the wearer, providing endless comfort when wearing under your jeans to show off that perfect bulge. You can also be assured that they will withstand the punishment of your longest play sessions time and time again. Size: 8.25” (21 cm) Long x .75” (2 cm) Wide. Keeps you Hard Longer & Stronger. 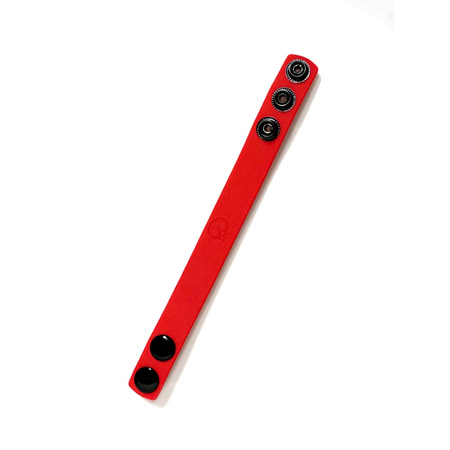 3 Snap Sizing Slots Xtreme Durability. 100% Soft Touch Silicone. 3 X Stretch. This product is safe with all lubricants, completely hypoallergenic, non-irritating and compatible with sensitive skin.